Construction union UCATT has told workers at the Dunne Group to remain on site and said clients should have carried out checks on the stability of the Bathgate-based business that went into administration today (Tuesday) with the loss of hundreds of jobs. 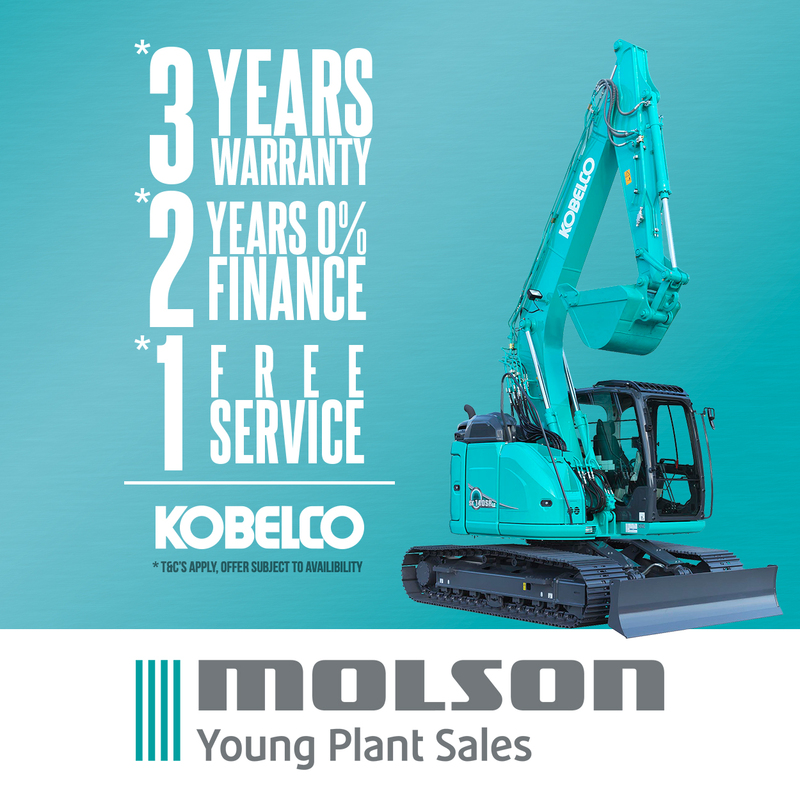 Tom MacLennan, a partner at administrator FRP Advisory, described the collapse of the civil engineering, plant hire and concrete frame company as “a sad loss” and added: “The business faced substantial trading losses on some contracts, leading to severe cash flow pressures. Additionally, rapid expansion led to pressure on working capital and a requirement for significant additional funding that was not available. 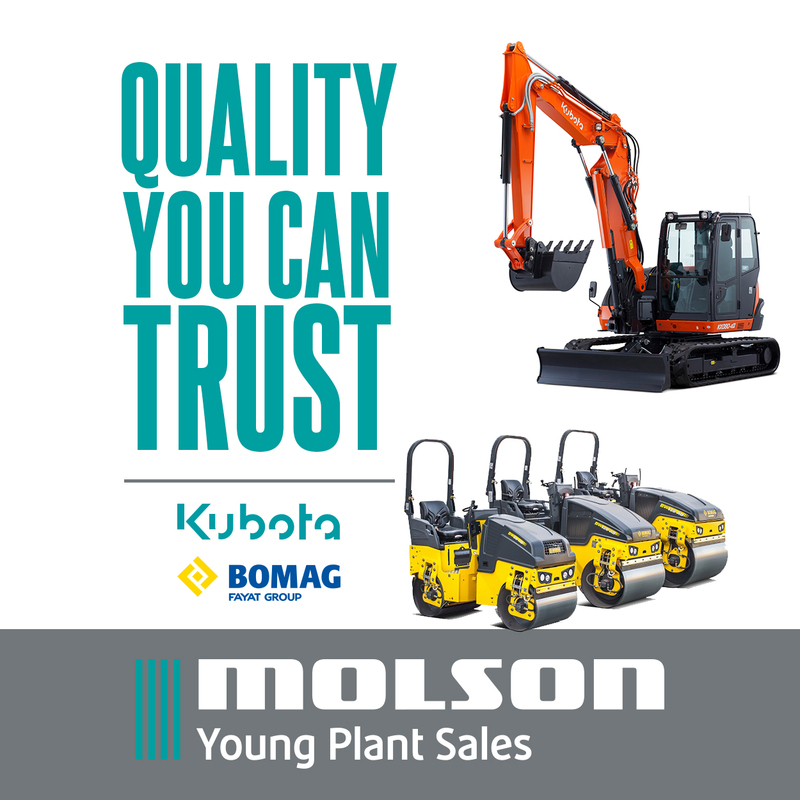 The group’s plant and transport fleet will be sold to pay creditors. 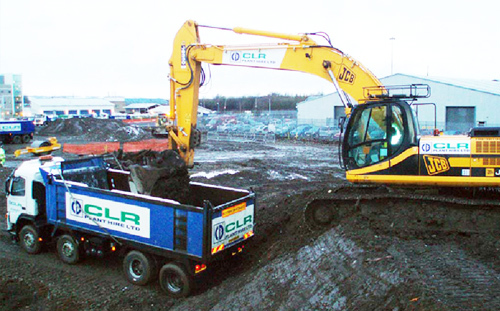 John McCormack, operations director for the CLR Plant Hire division, resigned in May and finance director Andrew Love left last month after less than a year in the job. The collapse will affect sites across the UK and a group of 16 staff is being retained to help with the closure process and the sale of assets including the large plant and tipper fleet operated by CLR. 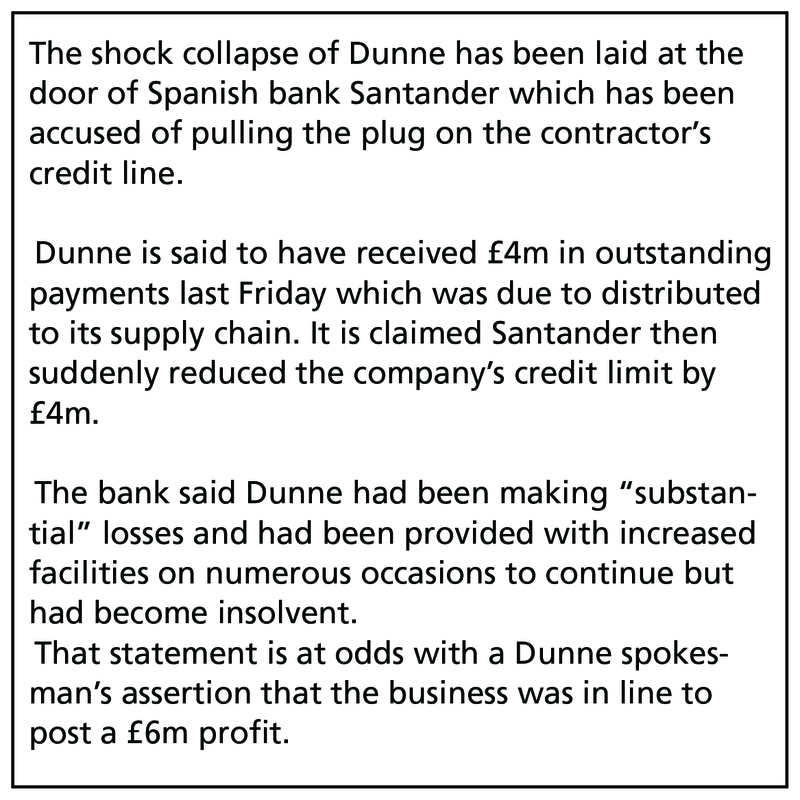 Dunne was founded in 2001 by Irishman Gordon Dunne and has recently been involved as a sub-contractor on high-profile projects such as the £842m Queen Elizabeth University Hospital in Glasgow and luxury tower blocks in London. Latest accounts show a turnover of £54.8m for the year to October 2014 and a pre-tax profit of £756,073 following a loss of £475,878 the previous year. As well as its headquarters in Bathgate the group had offices in London, Leeds and Dublin.